Xiaomi has created a huge wave in the Indian smartphone market by bringing in a high-end handset at a low-end price. Xiaomi is the top smartphone manufacturer in China which went from zero to the fifth position in just four years. After creating a success story back home, they have launched their devices in the Indian market, which have stirred up a storm, even before the users could get a unit in their hands. The first time, when Mi3 went on sale last week, it was sold out within 40 minutes of its availability. A reported 100,000 people registered for the phone before the day of sale on July 22. On the day of sale, Flipkart ran out of their entire inventory within a record 39 minutes and also managed to get the website to its knees. 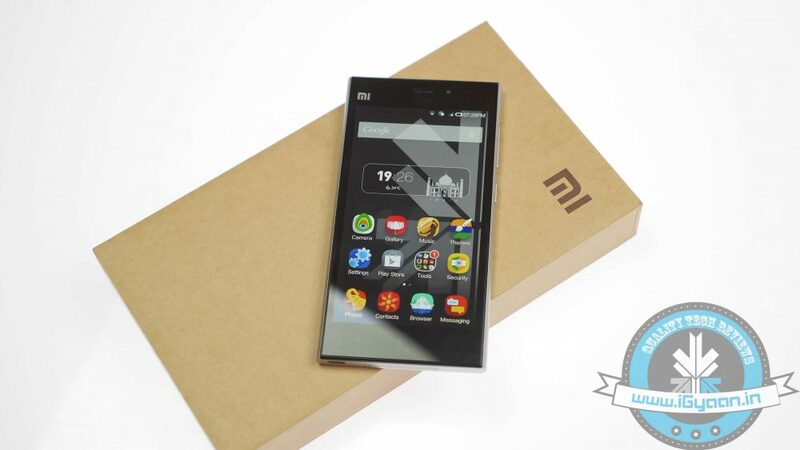 The Xiaomi Mi 3 went on sale again via the website today at 2PM IST. However, same as the last time it sold reported 10,000 units within half an hour, 23 mins to be exact. 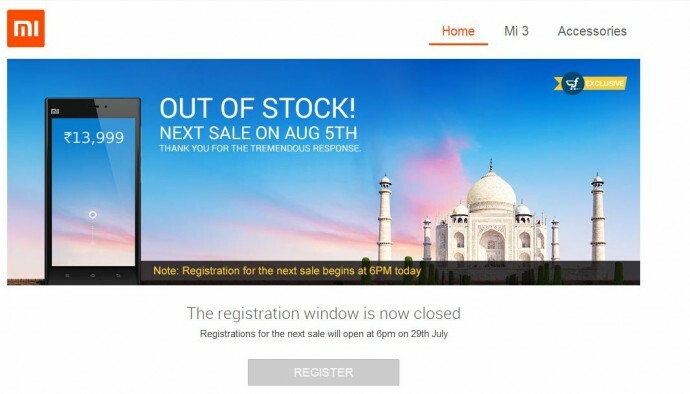 The Flipkart page of the Xaiomi Mi3 thanked buyers for ‘tremendous response’ and also notified that next date for sale will be on 5 August while the registration for the next sale will start at 6PM IST today. The Xiaomi Mi 3 runs a highly tweaked version of Android 4.4 KitKat, with MIUI version 5 on top. It comes with a 5-inch full-HD LCD display (1080×1920 pixels) offering a pixel density of 441ppi; a 2.3GHz quad-core Qualcomm Snapdragon 800 (MSM8274AB) processor; 2GB of RAM; Adreno 330 GPU; 16GB of inbuilt storage; 13-megapixel rear camera; 2-megapixel camera, and 3050mAh battery. Xiaomi also launched its latest flagship smartphone, called the Mi 4, at the company’s “The Journey of a Piece of Steel” launch event along with the Mi Band, a budget fitness tracker priced at just $13 (roughly Rs. 790).